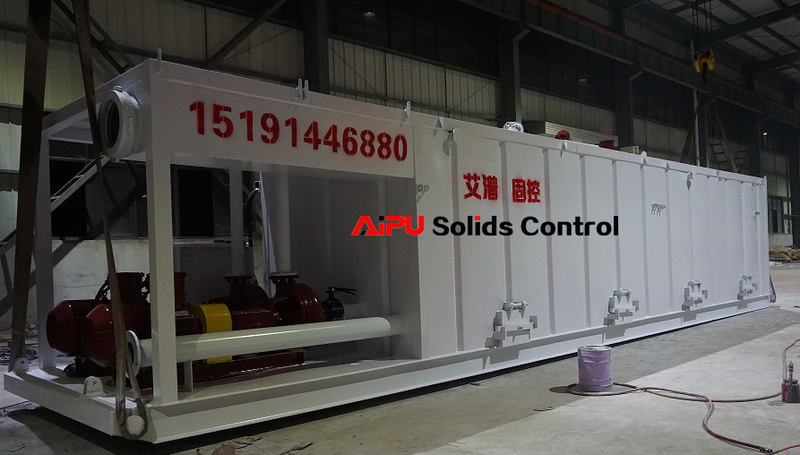 AIPU received an order for 4 sets of solids control system for 2000 meters drilling rig (ZJ20 model). 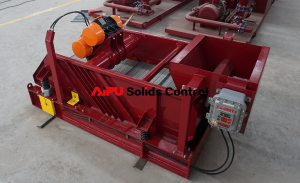 The ZJ20 solids control system will including shale shaker, desander, desilter, decanter centrifuge, mud agitator, centrifugal pump, mixing hopper, mud tank etc. The client ordered 4 sets of equipments for oil drilling in China after compared 3 others solids control supplier. 1 set of hunter MG3 linear motion shale shaker for 800GPM max flow, the 2 sets of shale sit on a shared skid for fast moving and installation. One distribution box connected with both shaker for mud inlet. 1 set of vacuum degasser sit after shale shaker, the self suction vacuum degasser can save one set of centrifugal pump and power supply for the whole mud system. 1 set of desander with hunter mini bottom shaker for second phase cleaning. The desander cyclone can be changeable with some US brand of equipment. Hunter mini shaker is a 2 screen panel shaker with wedge type screen. 1 set of desilter with hunter mini bottom shaker for third phase cleaning, the desilter cone can be changeable with some US brand equipment and bottom shaker model same with desander. 3 sets of centrifugal pump sit on mud tank skid, 2 sets of pump work as a transfer pump for desander and desilter, the third pump work as a mixing pump with a mixing hopper on tank top. 4 sets of mud agitators sit on mud tank for avoid solids settling down by working 24 hours. The mud agitator cooperate with mud gun to reach a perfect agitating application. The mud gun will help flash corners of mud tanks. 2 sets of mud tank for all equipments installation and mud storage, clean gate installed on each compartment of mud tank for cleaning.